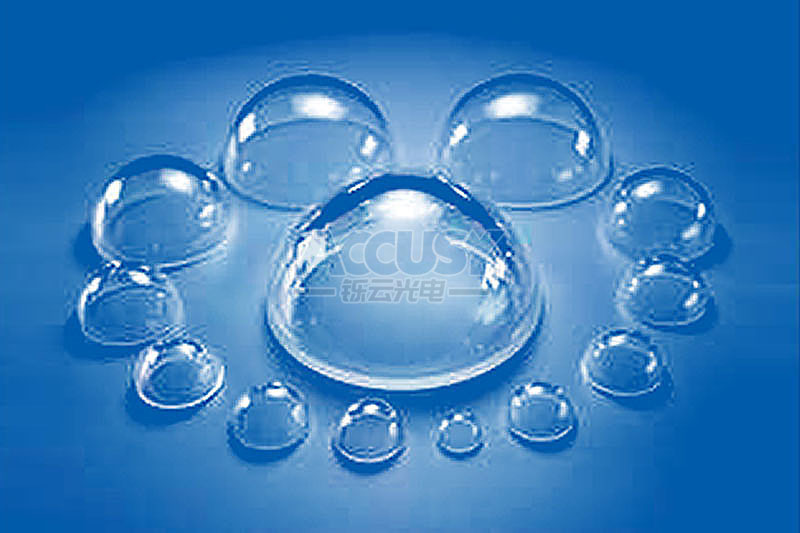 Accusy is supplying precision Optical Dome made from kinds of optical materials, for examples, Optical Glass, Fused Silica, Sapphire, Si, etc. We have more than 20 different sizes of high quality optical dome (dome lens) in our catalog. They are widely used in solar energy measuring instrument, underwater camera and high-pressure window of submersible. Besides product catalog dome, we supply custom-made optical dome.